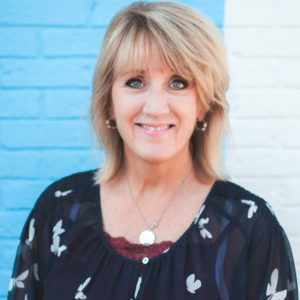 A note from Kelly King: Every time I read one of Kaye Hurta’s weekly articles on ministering in the messy, I’m reminded that even if I don’t see myself as a biblical counselor, I still have the ability to minister to women in pain. Whether I’m listening or learning, we are all part of God’s bigger plan to be available to those who are hurting. If you missed the first part of this series, read the first article here. Recently we began a conversation around being comfort-able as you engage with women in crisis or who are hurting. Remember, when it comes to helping others in a crisis, we are God’s plan A. By way of review, the first two ways to be prepared to help someone facing a crisis is to be prepared personally (emotionally healthy, aware of personal pain and triggers) and practically (by having next steps and referrals at your fingertips). Effective leaders are learners. What articles or books are you currently reading to broaden your knowledge base around some the current issues hurting women are facing today? Make a list of the top five issues women are facing in your ministry or community and read something current about each one. Effective leaders are listeners. The best gift you can give someone in crisis is to simply show up and listen. (I usually say “show up and shut up,” but I wasn’t sure that would translate well in print.) Listening also involves looking at the person. Sometimes the crisis is an “event” that is obvious, however, many women are carrying a quiet crisis within them. They often feel alone in it and embarrassed by it, and shame keeps them from bringing it to the light. Look at people when they’re talking and if they tear up or breeze past something heavy in a light way, circle back. “Could I ask you…”? or “I didn’t know you miscarried your first pregnancy; I’m so sorry.” “I’d love to hear about it if you wouldn’t mind sharing.” Invite them to tell their story. Most women won’t offer additional information because they think we’re too busy. I encourage you to consider carefully how prepared you are to be comfort-able in a crisis. I feel confident that every week you encounter someone who needs you to be present and prepared. Colossians 3:12 says, “Therefore, as God’s chosen ones, holy and dearly loved, put on compassion, kindness, humility, gentleness, and patience.” I am praying this is true of me, and I’m praying this is true of you. Be prepared! Say What? How’s Your Hearing?